In 7 studies for individuals or groups, Tim Keller’s ‘Good Book Guide’ to Galatians relates the problems of that early church community to our own difficulties with living a Christian life that’s true to the gospel. It was when the Galatian church became misguided into the view that they could be saved by their own efforts that their troubles began. And it’s when we forget that we’re transformed only by the liberating truth about Christ that we find how life is about his works of grace not our own efforts, that we open our hearts to dissatisfaction, disunity and despair. Tim Keller leads you into the warnings and guidance of the Letter to the Galatians and the amazing truth that will excite Christians to apply its message to their own lives. Galatians : Gospel Matters by Timothy Keller was published by The Good Book Company in February 2013 and is our 15983rd best seller. 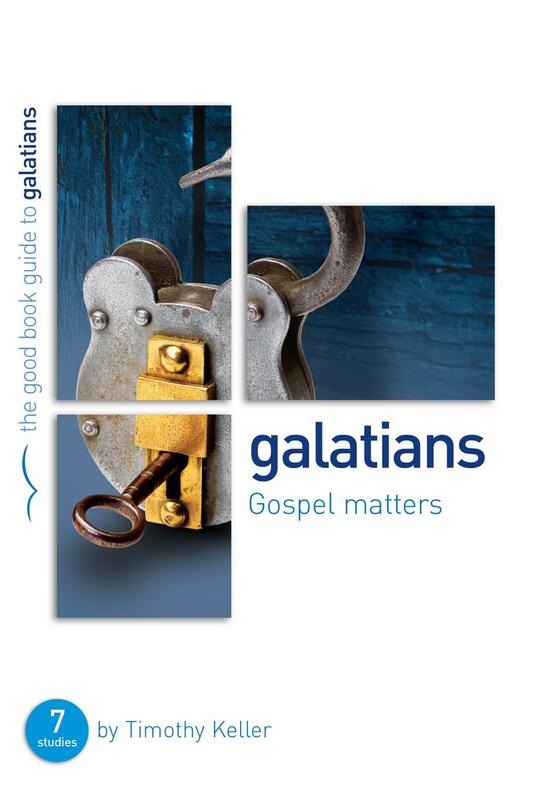 The ISBN for Galatians : Gospel Matters is 9781908762559. Be the first to review Galatians : Gospel Matters! Got a question? No problem! Just click here to ask us about Galatians : Gospel Matters. Our problems in the Christian life come when we lose or forget or fail to live by the gospel. The Galatian church was torn between the view that their efforts saved them, and the gospel, which told them that it was Christ's work, not theirs, that mattered. The choice still confronts us today. So let Tim Keller take you to the heart of Galatians, and be amazed and transformed by the liberating truth about Christ - that life is about His performance, and not ours. This seven-study guide will excite Christians about the gospel, and apply it to every aspect of their lives.